Kakao, the operator of South Korea’s top messenger app, announced Thursday its operating profit plunged more than 50 percent last year from a year earlier despite the IT giant’s record-high annual sales. According to Kakao, its operating income reached 72.9 billion won ($64.8 million) last year, down from 165.4 billion won in 2017. The company’s fourth-quarter operating profit stood at 4.3 billion won, down more than 80 percent from a year earlier. The performance appears to overshadow the company’s record-high revenue last year, when it surpassed the 2 trillion won threshold. Kakao’s 2018 annual sales rose 23 percent on-year to reach 2.42 trillion won. 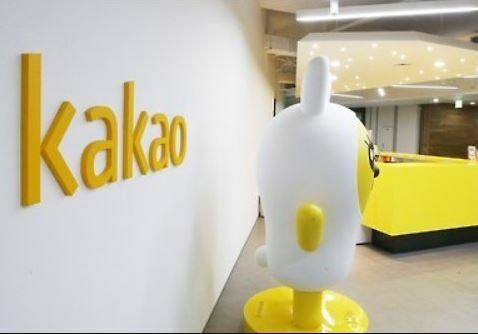 Kakao said its operating income had plunged due to more investments in new businesses as the company seeks more lucrative areas such as content services. Revenue from its content platform remained steady at 314.4 billion won in the fourth quarter, up 18 percent from a year earlier, it added.